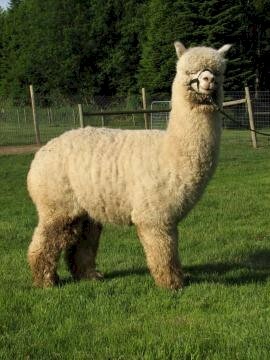 How you feel when you sit in a field with alpacas or when you touch their incredibly soft fiber is what it's all about. We can't describe it; you just have to feel it. But we have shared here what we can. 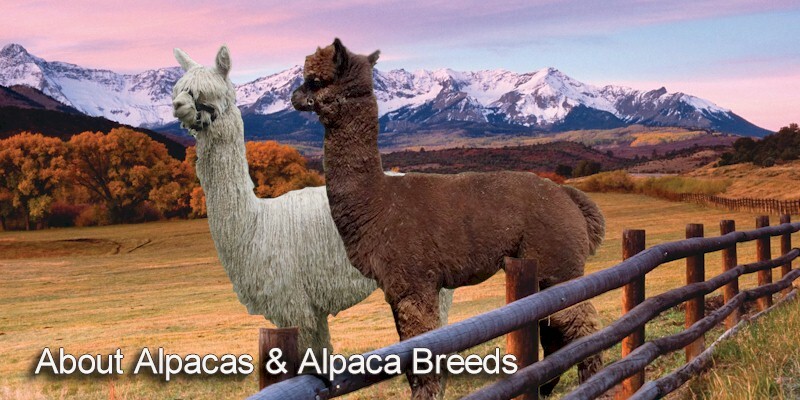 Suri alpacas have unique fiber characteristics that distinguish the Suri from the rest of the camelid family. 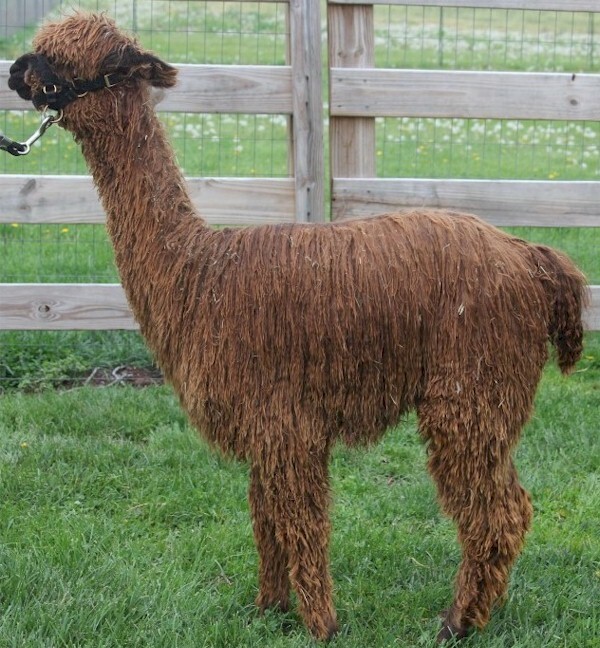 Unlike the soft fuzzy look of the Huacaya alpaca, the Suri's long, separate, distinctive locks are comprised of twisted or flat fibers that drape down the sides of the Suri's body. The Suri's fiber has a cool, slick handle or feel, can be as soft as cashmere, warmer than wool, with the luster of silk.Suris comprise about 15% of the US alpaca population.